Up, up and away! Passenger travel increased again for Washington-Dulles International Airport, with both domestic and international travel seeing gains. According to annual passenger counts released by the Metropolitan Washington Airports Authority, Dulles Airport serviced a record 7.8 million international travelers last year, its 14th consecutive year of growth. Dulles currently has 67 daily departures to 57 international destinations on 33 airline carriers. 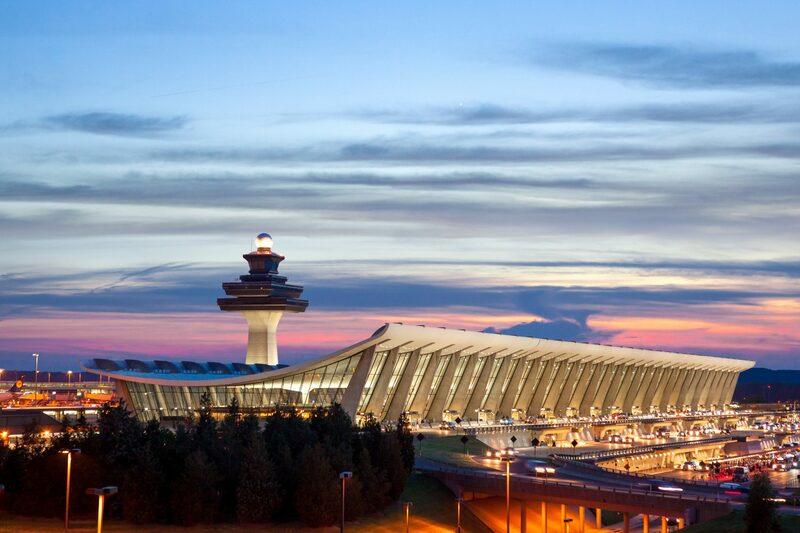 Located in Loudoun County, Dulles Airport is a major business resource, providing a gateway to global markets. Domestically, Dulles transported 22.7 million passengers in 2017, a 4.1 percent increase over 2016. The Washington Business Journal attributes some that growth to an expansion of the United Airlines hub at Dulles, along with an increased presence of Frontier and Southwest Airlines. The airport also supports 78 destinations in the U.S., including 259 daily departures on seven carriers. The 37 total airlines that operate out of Dulles are more carriers for customers to choose from than Reagan National and BWI-Thurgood Marshall airports combined. The Business Journal article also noted that Dulles is “one of the best-run airports in the country,” according to business and financial data assembled by American City Business Journals. In January, Cathay Pacific Airways announced new weekly nonstop service from Dulles Airport to Hong Kong, starting in September of 2018. Dulles Airport also provides opportunities for Loudoun’s rural businesses. A 2017 feasibility study showed that Dulles Airport, with its extra land and central location, would be a perfect place for an animal quarantine facility. Loudoun’s equine industry includes more than 15,000 horses and contributes more than $180 million to the local economy each year. Such a facility would fill a key need for the county’s Rural Economy Business Development Strategy. For more information on Dulles International Airport’s impact on Loudoun’s economy, visit our Aviation and Transportation page. To open a business in Loudoun County, please contact Rick Morris, or call 1-(800)-LOUDOUN.